Visit of Arezzo city center with specialized Tourist guide to discover the highlights of the city: Piazza Grande, the Cathedral, the Saint Francis Church and the masterpiece of Piero della Francesca. -Visit with a specialised tourist guide of the historical centre of Arezzo: Piazza Grande, the Cathedral, the Saint Francis Church, where it will possible to admire “the Legend of the True Cross”, Masterpiece of Piero della Francesca (ticket included in the price –advance booking required). -Wine Tasting at the “House of Wine” in Arezzo (3 labels) combined with typical Tuscan products. 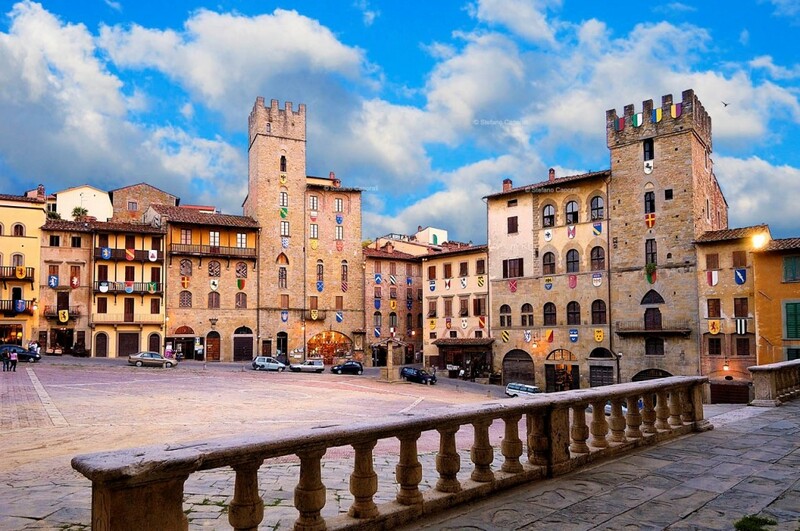 The Arezzo City Tour take place every day (on request). No waiting lines and tickets included in the price of the Tour. (free of charge for children up to 6 years).